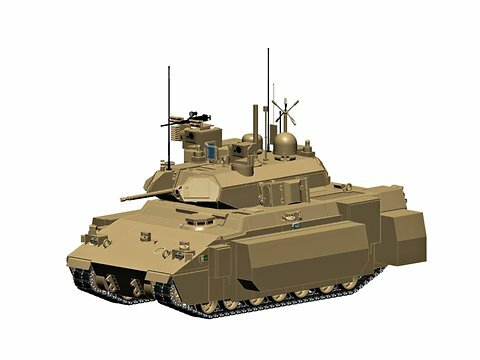 This hybrid tank is being developed by BAE Systems and Northrop Grumman who doesn’t call it a tank but instead ‘Ground Combat Vehicle’ as the vehicle’s platform and drive-train will be used in others military vehicles as well. The or as the company likes to call it, ‘GCV’ weighs a massive 14,000 pounds and has two electric motors producing 700 HP each to power the tracks and has a system based on the Chevy Volt which engages when to recharge the battery through diesel engines in the GCV. A lithium-ion battery pack supplies electricity, and two generators, driven by two diesel engines, charge the battery and augment its power when necessary. 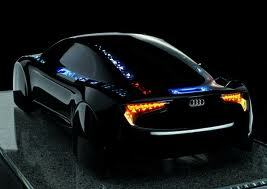 Like the Volt, the vehicle can also operate solely on battery power. A drop in battery voltage awakens the diesel engines, which send energy to the battery pack and provide supplemental energy to spin the motors. But there’s more, the military teams can also use the vehicle to power up different devices or even the camp they’re staying at. The onboard electricity supply would allow future advanced weapon systems to be carried, including lasers, high-powered microwave devices and electromagnetic rail guns.